We’ve developed an array of effective meteorological support services and a powerful selection of supplementary instrumentation. 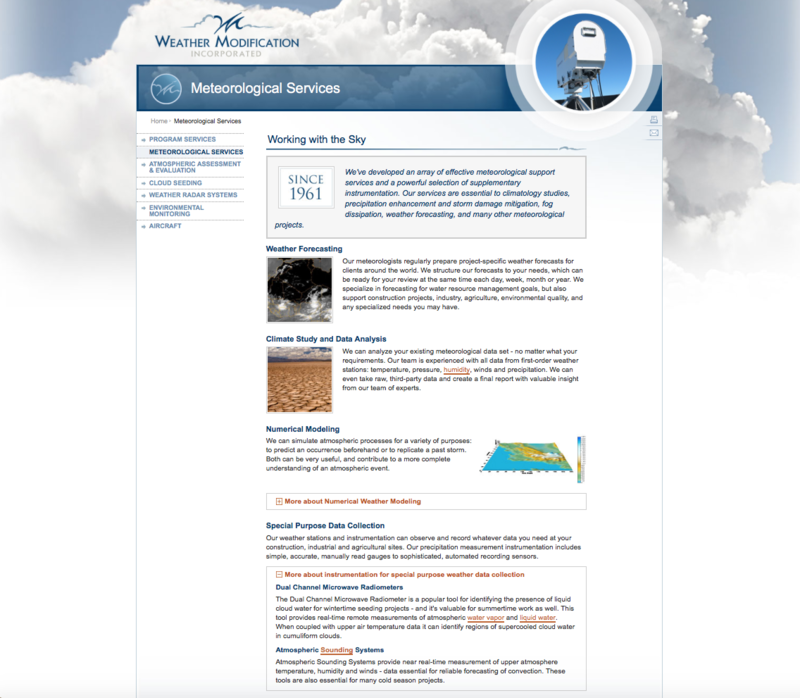 Our services are essential to climatology studies, precipitation enhancement and storm damage mitigation, fog dissipation, weather forecasting, and many other meteorological projects. The Dual Channel Microwave Radiometer is a popular tool for identifying the presence of liquid cloud water for wintertime seeding projects – and it’s valuable for summertime work as well. 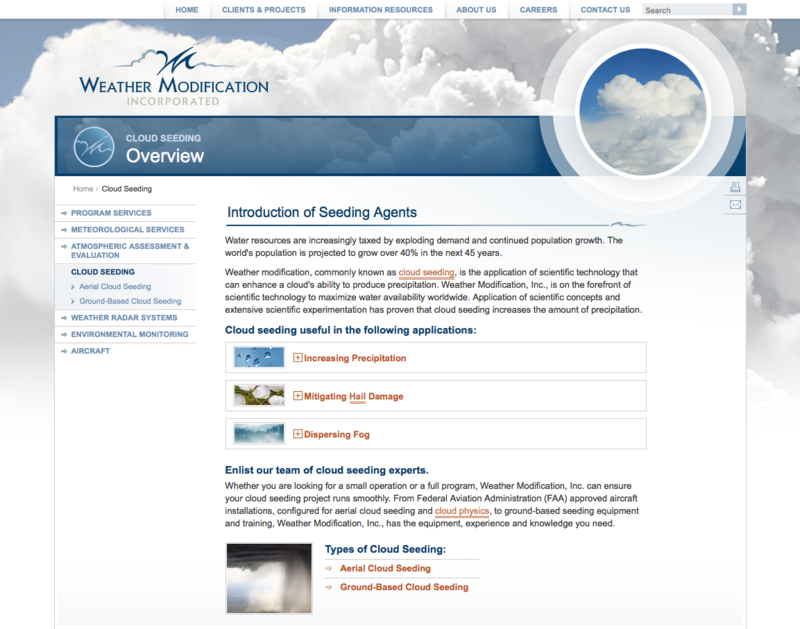 This tool provides real-time remote measurements of atmospheric water vapor and liquid water.